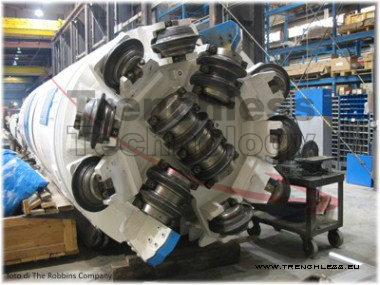 Mini Tunneling (Mini TBM) technique consists in drilling micro tunnels using self-propelled microtunnelers without external jacking stations. These units could be single or double shielded, depending on soil condition. Tunnel lining is built on site as the shield advances. It is suitable for long distance tunnels drilling along crests, hills and mountains, both in rocky or soft ground.